We all know there’s quite a bit of construction occurring on Miami’s campus. From Western to Maple Street to the new Armstrong Center, Miami is making a lot of changes, many of which have environmental backings. In order to become LEED certified, each building has to apply and be approved for certain sustainability “credits” such as stormwater management controls and proper site selection. Although this all sounds technical, it is a really big deal that Miami is working to make these changes and whether LEED certified or not, our campus is certainly taking a green initiative. So how can LEED relate to business you ask? 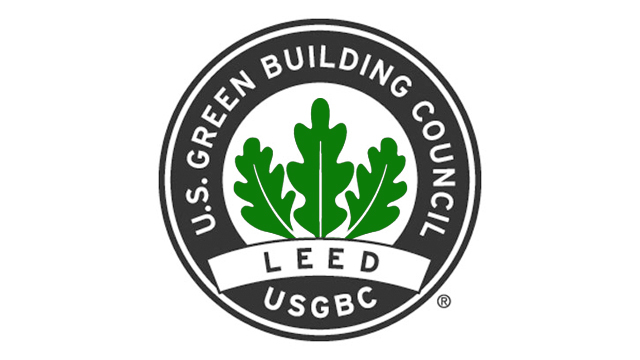 Well according to the United States Green Building Council website, LEED buildings can boost a businesses bottom line and set the business apart from other retailers and industries. Doing that in today’s world can make a serious difference since more and more people are becoming aware and concerned about the environmental problems we face today. Furthermore, LEED provides a set of metrics so that sustainability and environmental impacts can be measured and compared (so not everyone can claim they have a “green” building). A final important benefit of LEED is that it can save money by creating a more energy efficient building. These energy efficient facilities not only save natural resources, but also require less money to go into running the facility. Therefore, it only makes sense that businesses try their best to have the most sustainable and obtain LEED certified facilities as possible, right? Well unfortunately it is a little more complicated. Even though the concept of LEED is great, it can be quite challenging and expensive to meet credits. Sometimes businesses and developers won’t even attempt to get LEED certified simply because the task is rather daunting. (I’m currently working on a project dealing with LEED certification so trust me on this one). Furthermore, credits are not always evaluated after a building has been verified and given a LEED stamp of approval, which can lead to a decline in sustainability practices after approval is received. Still I think the concept of LEED is great and shows it’s very important that all aspects of business are covered in regards to environmental impact (even the buildings businesses run in). However, it is most important that these businesses, organizations and campuses are taking initiative at all, whether with LEED or just in regards to sustainability, in order to improve environmental conditions and even business.